Update: Read the journey towards ourselves – How does work change when we focus on our humanity? “We need a post-industrial work organization that connects us back to ourselves, to others and to what is meaningful.” Reinvention Movie is on a quest for a world where work is something that really “works” for human beings, (maybe for the first time). 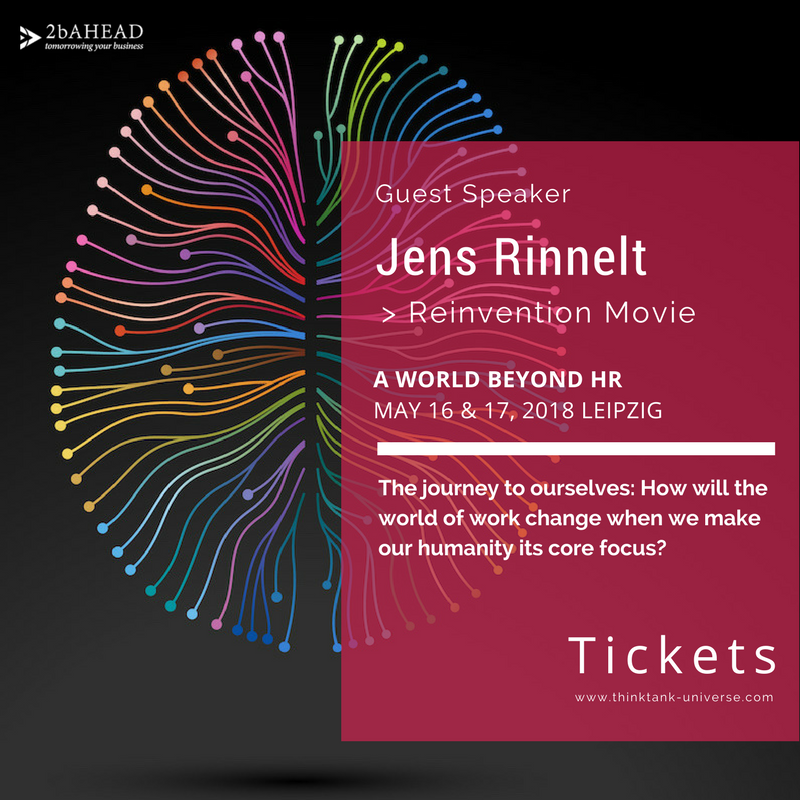 Come join us to hear what Jens Rinnelt has to say about A World Beyond HR, May 16-17 in Leipzig! “A world beyond HR” – think tank organized from 2bahead.